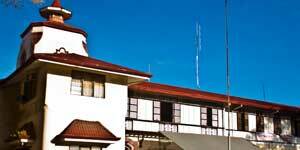 Silliman University in Dumaguete City is the Learning Center of Negros Oriental. It offers academic education from Kindergarten, Elementary, High School, Senior High and College. Though out the years, Silliman University has grown not only as an educational center but as a tourist attraction and destination here in Dumaguete City with its Silliman Hall and Silliman Church. Aside from the actual learning process, Silliman Has to offer, there are different events and celebrations that can be enjoyed by all who are in Dumaguete City. The public can enjoy the search for Miss Silliman, Silliman Founder’s Day and Hibalag Festival!